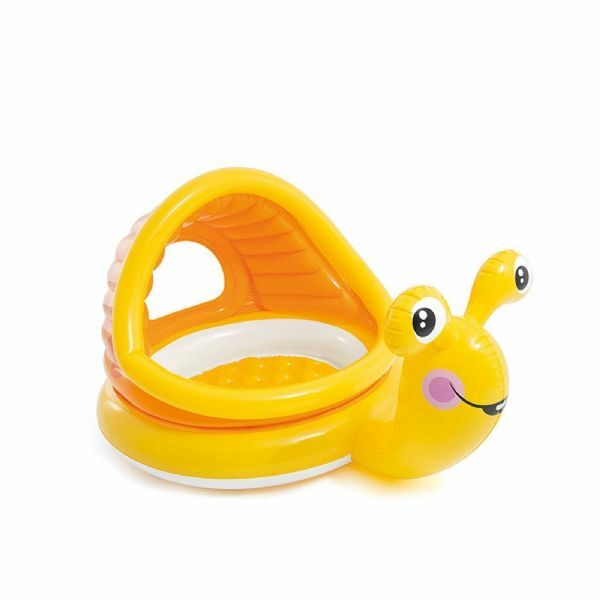 Intex Lazy Snail Shade Baby Pool. The Lazy Snail Shade Baby Pool is ideal for children aged between 1-3 and will provide protection from the sun with its built in sunshade. Made from 0.25mm vinyl, the Lazy Snail Shade Baby Pool has a wall height of 14cm that can hold over 50 litres of water.